Eleanor McGillie talks to John Joe Walsh who has been training horses for over 50 years, and, while the face of racing has changed, one thing which remains stable for him is the quality of Bluegrass Horse Feeds. Here's the interview which is published in our magazine, The Inside Scoop. John Joe Walsh is a gentleman - one who has seen the face of horse racing change over the decades but one thing he says which has remained consistent for him is the quality of Bluegrass Horse Feeds. Sitting at his home at Kilbyrne House Stables in Cork John Joe reflects on how the racing industry has changed from the days when those involved were mostly farmers who had a few horses on the land and a few lads looking to ride them. Nowadays it's a serious industry and the competition is fierce. Born and reared in Doneraile, his longevity in such a competitive environment is testament to his knack for getting the best out of his charges. His impressive Kilbyrne House Stables has capacity for 60 horses and boasts a sand gallop, a wood chip gallop, a grass gallop and schooling ground. With a well deserved reputation for getting the best out of his horses, he currently has 30 to 40 young horses in training. His two sons, Brendan and Martin, are both working with him which doesn't come as a surprise as, in his own words, 'they know nothing else but horses'. "We have about 40 horses in training here at Kilbyrne," John Joe tells me. "We have some flat horses, National Hunt and race horses. I am feeding Bluegrass Horse Feeds a long time - most Racehorse Cubes. "The feed is great, the horses perform and I have a great relationship with the Bluegrass team. We buy direct from them. The lorry pulls up every week and we get great customer service. At the end of the day, it's the performance of the horses which gets the end results." No stranger to big-race success over the years, Walsh gained one of his his most valuable wins when the Rachael Blackmore-trained Ballyegan Hero took the €100,000 Galway Shopping Centre Handicap Hurdle on the penultimate day of the 2017 Galway festival. And in December 2017, Davids Charm made a 20-1 shot for the County Hurdle after landing the €100,000 Bar One Racing Handicap Hurdle under Rachael Blackmore at Fairyhouse. "We have had a good 2017 season. 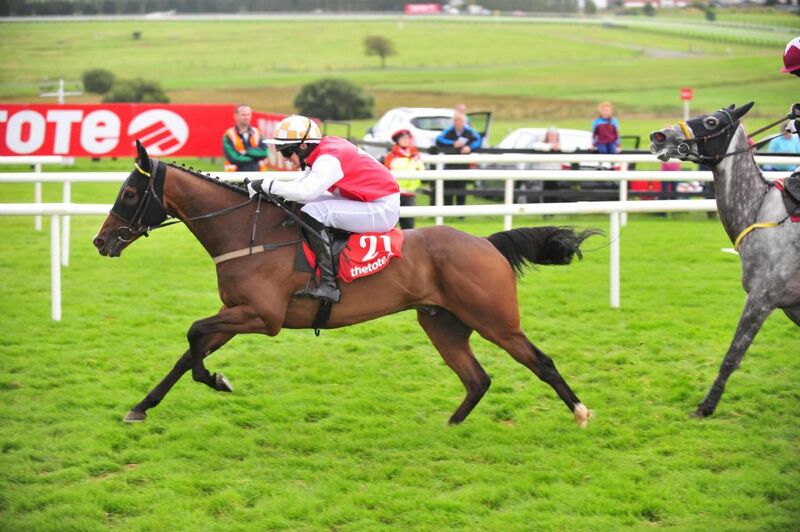 Galway and Fairyhouse were brilliant results for us." Looking back to days gone by John Joe said horse racing was all about young lads wanting to ride out. "They were the sons of farmers", he said. "There were very few women in the industry back then. There were a few and they were really good but I remember the days when women weren't allowed to ride out on the tracks. I could count on one hand the number of women involved. That has all changed and there are lots of great female riders out there today. There are a lot of good females in the industry in this country. They are very dedicated and committed." John Joe Walsh started his training career when he got his license in 1962. Grub Stake was his Walsh’s first winner as a trainer when taking the bumper at Clonmel, on Thursday, March 7, 1963, and, for good measure, he rode it himself. Walsh had begun his training career the previous year and along with Kevin Prendergast, he is Ireland’s longest serving trainer. Walsh won the Munster National with Pelegro (Liam O'Donnell) in 1975 and Propunt (Trevor Hogan) in 1992. Propunt and Horgan were also successful in the Kerry National in 1992. In the Nineties, Lord Singapore won the Troytown chase at Navan for Walsh in 1996, ridden by David Casey.